What are the best best bets to use as a ginger substitute if you have just run out? We have a few replacements for your kitchen if you are stuck in a bind. Rooted in Southern Asian cultures, ginger is now widely noted both for its versatility and its health benefits. Ginger in its three forms ground, fresh, and crystallized can be added to a variety of dishes and even drinks to enhance the flavor. Both fresh and crystallized ginger often have a limited store availability, and if you have neither those nor ground ginger and need to use a substitute, you typically have 4 different options. First and foremost, however, if you can, use ginger in the place of ginger. This is especially the case for recipes that call for ginger in its crystallized form. 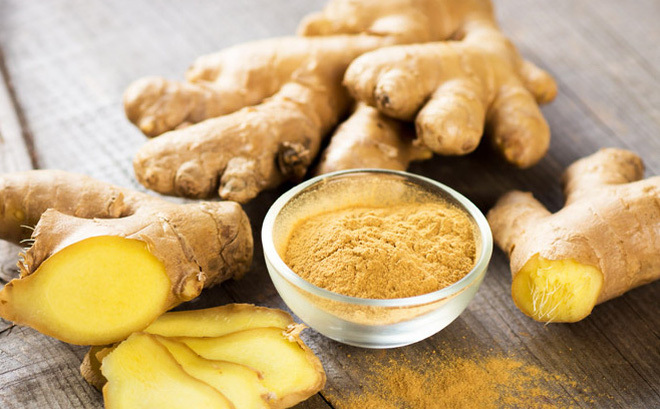 Ground ginger and fresh ginger are essentially interchangeable, though ground ginger is considerably more concentrated, so you would typically use less of it when using it for the substitute. On the other hand, if you are substituting fresh ginger for ground ginger, you might have to use more than what is called for. The exception would be recipes that rely heavily on that ginger flavor such as bread and other desserts, and in these cases, fresh ginger may not be strong enough. Rightfully named, allspice attempts to recreate the flavor of a number of different spices, including all of those mentioned here. Allspice is similar to ginger in both color and sweetness and, therefore, can be used as a substitute in most recipes. For allspice and all other ground substitutes, you can use exactly the same amount as you would the ginger. Both mace and nutmeg can be used for sweet or savory dishes as an alternative to ginger and can even satisfy many of the dessert recipes that call for ginger as well. Both of these spices can fairly accurately approximate the flavor of ginger, and they are usually the most common alternatives in addition to cinnamon. Cinnamon’s sweetness is also comparable to ginger and can complement almost all of the same dishes. Along the same lines as ginger, cinnamon is another common baking ingredient and may often be the most appropriate choice for use in desserts. However, it is also used in things like Indian curry and can be added to more savory dishes as well. In its least common form, the most appropriate substitute for crystallized ginger are the other two forms of ginger. Crystallized ginger, with its added sweetness, is most commonly used as a topping or ingredient in desserts, hence the nickname “candied ginger.” This isn’t a ground substance, however. Grated fresh ginger will be the most appropriate substitute, as you will have more sizable ginger pieces. When you mix the grated ginger with equal parts granulated sugar (or any sugar really), you get a sweet and savory substitute. Alternatively, if you are using a powdered ginger, you can form a mixture with powdered sugar. In most cases, the recipe will tell you which ginger substitute is most appropriate. « Rosemary Substitute – What to Use?